She’s strong. She’s fast. And this weekend she’s going to make history. Christine Okesene is not your average thirteen year old. In just four short years the speedster has joined the ranks of Queensland’s best female rugby league players. 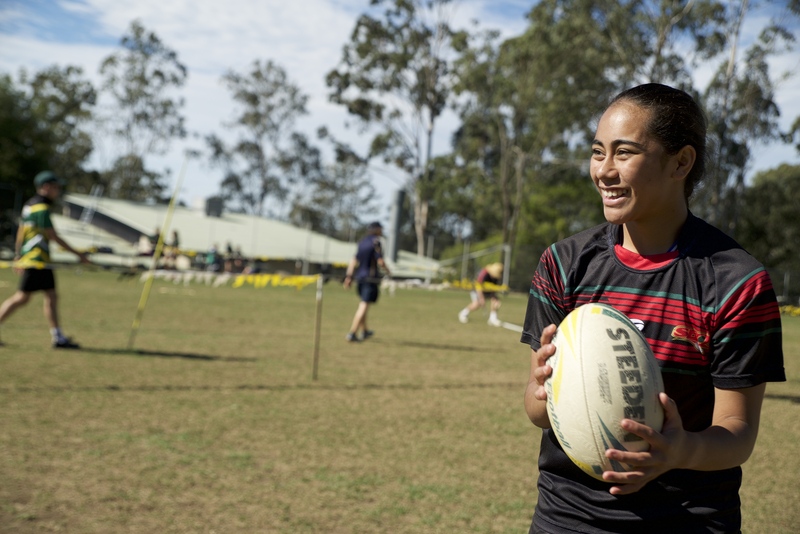 The Redbank Bears five-eighth is one step closer to representing her state, after being chosen for the South-East Queensland under-14s team. The team plays its inaugural game in Toowoomba this weekend. Christine will make her debut this weekend representing South-East Queensland. This is not the first time Christine has been chosen for representative duties. Amongst others, she previously made the under 12s Metropolitan West touch football team. Christine plans to join the police force or the army after school. Westside Christian College wishes to congratulate Christine on an exceptional achievement.